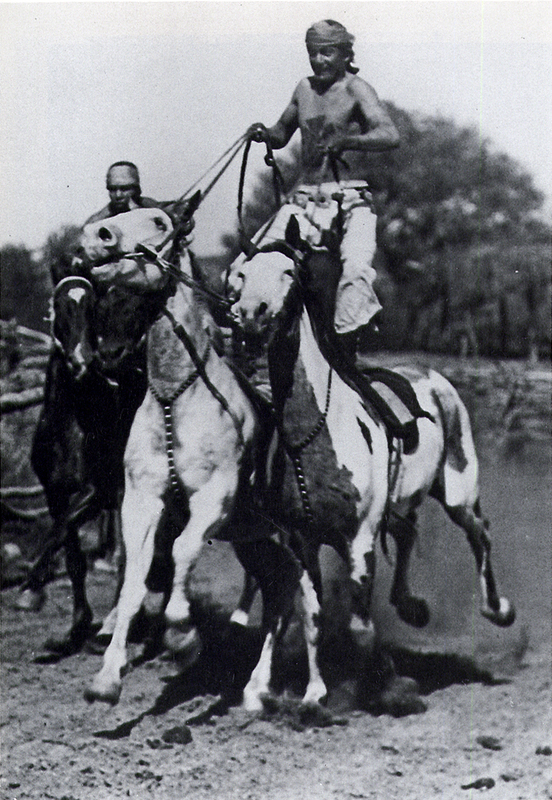 The Navajo Indians who worked at the Harry Carey Ranch staged riding demonstrations (among other things) for the tourists. Here, a performer is Roman riding, where the rider places one foot on each of two horses. DC2606: 9600 dpi jpeg from brochure courtesy of Harry Carey Jr.